With 418 contributors representing over 120 medical centers around the world, Tintinalli’s Emergency Medicine is the most practical and clinically rigorous reference of its kind. It covers everything from prehospital care, disaster preparedness, and basic resuscitative techniques, to all the major diseases requiring emergency treatment, such as pulmonary emergencies, renal and GU disorders, and hemophilia. 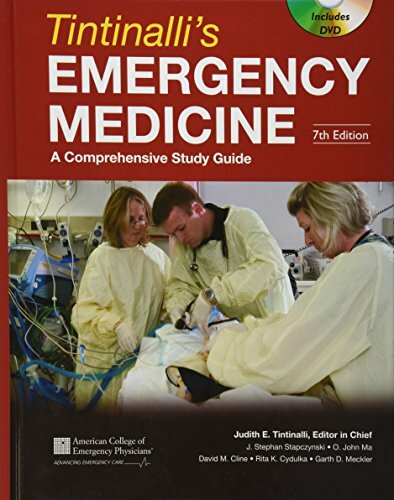 This authoritative, in-depth coverage makes this classic text indispensable not only in emergency departments, but also for residents and practitioners when studying or preparing for any exam they may face. The ultimate reference for Certified Registered Nurse Anesthetist (CRNA) students. The first text of its kind, it examines the practical aspects of every possible type of surgery, from orthopedic to plastic surgery to abdominal/gastrointestinal surgery. In addition, the author includes invaluable OR Pearls and devotes an entire chapter to each type of surgery. 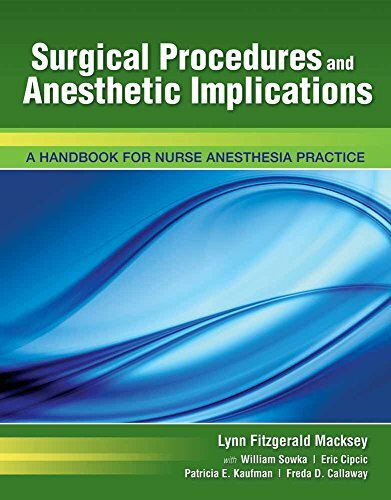 Surgical Procedures and Anesthetic Implications: A Handbook for Nurse Anesthesia Practice also includes safety concerns, positioning and patient effect, techniques, special drugs in anesthesia, abbreviations, and a Spanish/English anesthesia translator. Written specifically for nurse anesthetists, Nurse Anesthesia, 5th Edition provides comprehensive coverage of both scientific principles and evidence-based practice. It offers a complete overview of anatomy, physiology, pharmacology, and pathophysiology, and offers practical coverage of equipment and anesthesia management. Complete review for the nurse anesthesia certification exam written by experienced nurse anesthesia educators More than 800 questions and answers provide the practice you need to excel on the National Certification Examination This one-of-a-kind review is specifically written to provide student nurse anesthetists with the practice they need to prepare for the National Certification Examination. Current and comprehensive, it will also prove to be an outstanding refresher for seasoned CRNAs preparing for recertification. Certification Review for Nurse Anesthesia is based upon the content areas tested by the National Board of Certification and Recertification of Nurse Anesthetists. Question types include multiple choice, multiple response, and calculation. Detailed explanations are provided for the answers, along with references to appropriate pages in Morgan and Mikhail's Clinical Anesthesiology, Fifth Edition, and other respected anesthesia textbooks, for more detailed discussion of the topic. Questions are intentionally not grouped according to specific topics in order to provide a review that mirrors the actual test. Nurse anesthesia students will welcome the second edition of this text designed for the combined course in chemistry and physics that is required for this program. It is written in a clear, conversational style to counteract the trepidation that often accompanies the study of chemistry and physics, and includes only those core scientific concepts that relate to clinical anesthesia application. Numerous illustrations demonstrate how the scientific concepts relate directly to their clinical application in anesthesia, and plentiful case studies exemplify and reinforce basic concepts. Review question at the end of each chapter facilitate self-assessment. A key reference for clinicians practicing in preoperative areas, phase I and phase II PACU nursing areas, and nurses working in critical care, OB, and other specialty recovery units. Ideal for perianesthesia nursing orientation and perioperative cross-training programs, this text is beneficial for all those caring for pre-and-post-anesthesia patients. Additionally, it is a valuable tool for nursing students specializing in critical care and perianesthesia nurses preparing to sit for the Certified Post Anesthesia Nursing (CPAN) and Certified Ambulatory Perianesthesia Nurse (CAPA) certification examinations. 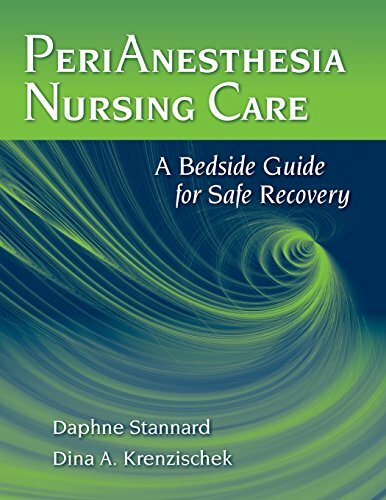 Divided into three sections that cover the lifespan, Perianesthesia Nursing Care: A Bedside Guide to Safe Recovery is specifically designed to be functional for the clinician and grounding for the student nurse. The first section focuses on core concepts applicable to all perianesthesia patients and families, while the second is population specific, and the third concentrates on particular surgeries and procedures that follow body systems. "As a nursing student, YOU CAN SUCCEED. You just need to surround yourself with your peers. Ask questions, network, and learn from others." A great website to follow trends in the field. To access Pennsylvania Nursing, click on the tab at the top of the page that says "US". You then get an alphabetical list of the states with links. The AANA promulgates education and practice standards and guidelines, and affords consultation to both private and governmental entities regarding nurse anesthetists and their practice. The AANA Foundation supports the profession by awarding education and research grants to students, faculty and practicing CRNAs. More than 90 percent of the nation's nurse anesthetists are members of the AANA. Originally drafted in 1986, the most recent revision of the Code of Ethics for the Certified Registered Nurse Anesthetist is dated 2005. Search for the word 'ethics' in the search box in the upper right side of the screen and a link to a pdf file will come up. One of the most useful pages in the web site is "25 Helpful Q&A Sites About Nurse Anesthetists". It has a lot of information about the field, but also includes blogs, salary info, and regional requirements. This site has articles and FAQs about nurse anesthetists as well as good hints for the job search.